Anthony was baptised Roman Catholic. 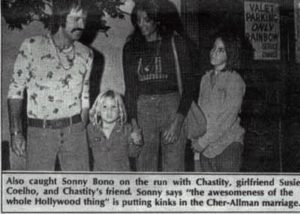 And contrary to urban myth, Sonny Bono is not his godfather. He was close to Sonny who played a major part in his childhood but Sonny was never his actual godparent despite claims that he was (it seems that that was either a misunderstanding or a wish on Blackie’s part that Sonny would have been).